Mix dry ingredients. Cut butter into small pieces & “cut” into dry ingredients with pastry blender or a fork. Beat egg, add milk to egg, mix, then add to dry ingredients. Form a ball. On counter top, press into a 7 1/2 x 5 inch rectangle. Cut into 6 pieces. Put on cookie sheet 1 inch apart. Sprinkle with extra sugar if you want. Bake 375 degrees for 12 minutes or until golden. That’s it. It’s well worth the 3 minutes it takes. 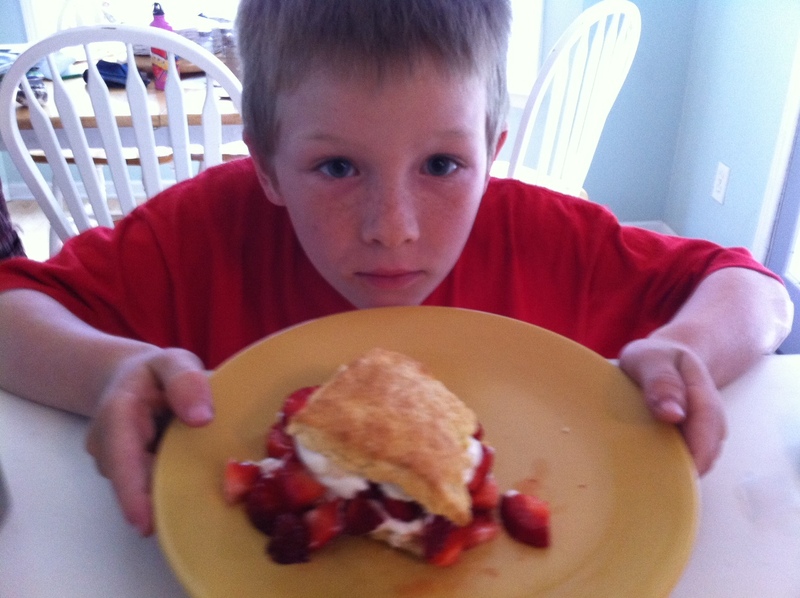 Sooooo – split the shortcake, spread whipped cream, add strawberries, add more whipped cream, put the top shortcake on and add more whipped cream – enjoy! If there’s any whipped cream left in the bowl – LICK IT CLEAN!! I probably will never buy store-bought tortillas ever again. They are so easy to make & this recipe is healthy! My kids love them & usually eat them hot off the griddle. I’ve accepted the fact that mine will NEVER be round. 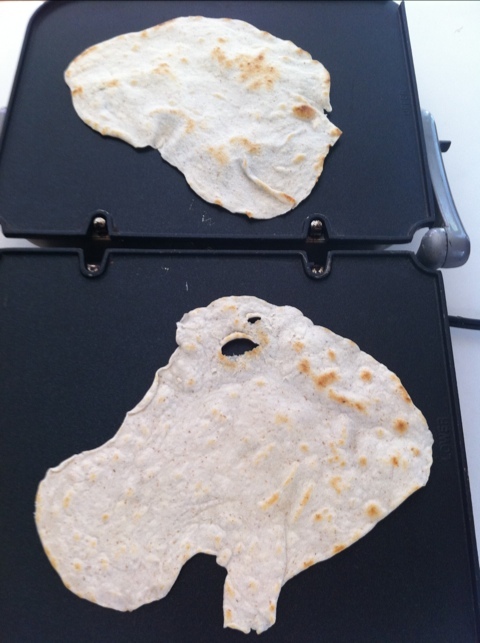 As much as I try to roll them out round, it’s just not gonna happen…it’s fun though cause like the clouds you can usually find a fun shape with the tortillas….here’s an example: what do you see? Mix dry ingredients. Cut in oil with pastry blender or fork till looks like corse crumbs. Stir in water. Make into a ball, divide in half, divide those in half, etc until you have 8 balls or 10 smaller balls. Roll out & put on hot griddle (450). 2 minutes each side…you’ll have to play with the time…you want them soft to roll, but they can get crisp like chips. To look “authentic” let them blister. Rub spice mixture on the outside and inside of chicken. Put the chicken into the crockpot. Place the chopped onions inside the chicken. When done, remove the chicken to a serving platter and let rest for 15 minutes before serving. The juices in the bottom of the crockpot make a great gravy….just dump in a small pot & add a Tablespoon or 2 of flour, whisk away until thickened & pour over some mashed potatoes! Enjoy! 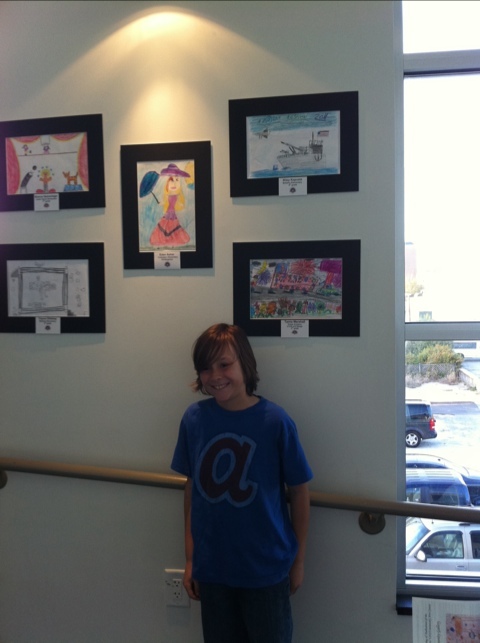 I got a call the other night saying Rileys artwork had been selected to be showcased at the community art center. 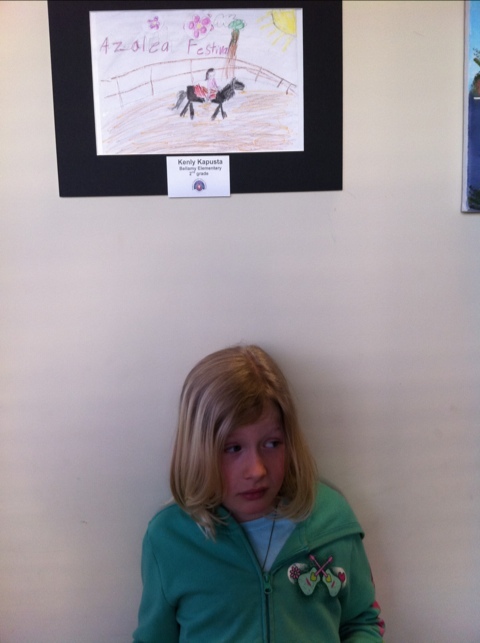 The next morning the lady called again & said Kenlys artwork had also been selected. Tonight was opening night so we went to see. The mayor was there along with the Azalea Festival Belles. 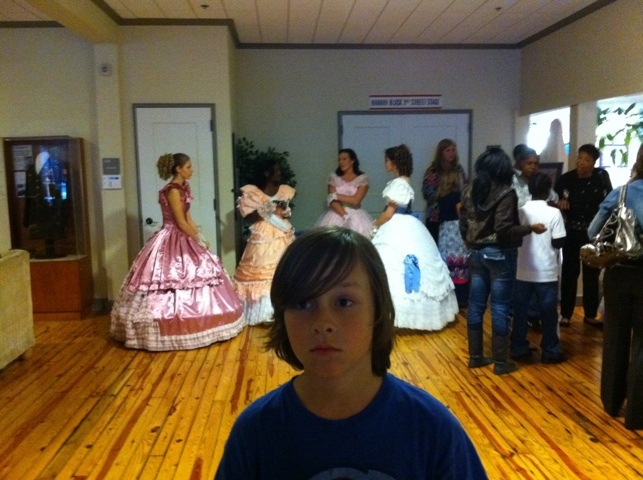 And here is Riley with the Azalea Belles…this was as close as he would get & still doesn’t look thrilled with that.
. I’m so proud of my kids!! Psalm 112:1-10 – Praise the Lord. How joyful are those who fear the Lord and delight in obeying His commands. Their children will be successful everywhere, an entire generation of godly people will be blessed. They themselves will be wealthy and their good deeds will last forever. A light shines in the darkness for the godly; they are generous, compassionate and righteous. Good comes to those who lend money generously and conduct their business fairly. Such people will not be overcome by evil; those who are righteous will be long remembered. They do not fear bad news; they confidently trust the Lord to care for them. They are confident and fearless and (can) able to face their foes triumphantly. They share freely and give generously to those in need, their good deeds will (be remembered) last forever. They will have influence and honor. The wicked (will see this) see them and (be) are infuriated. They (will) grind their teeth in anger. They (will slink) go away, their (hopes) plans thwarted. 1 Corinthians 9:6 – Remember this – a farmer who plants only a few seeds will get a small crop. But the one who plants generously will get a generous crop. Keep pushing forward….what an amazing tool we will be for God when in any situation or hardship we can encourage someone with a verse that just comes out from memory!!! I have been searching for somewhere to buy fresh eggs. In fact, today when Jeff was talking about farming & how we probably don’t have any farmers in our church but if we did, they’d be in the minority…I was hoping he would say, “and if you are a farmer, my wife would like to talk to you after service”. 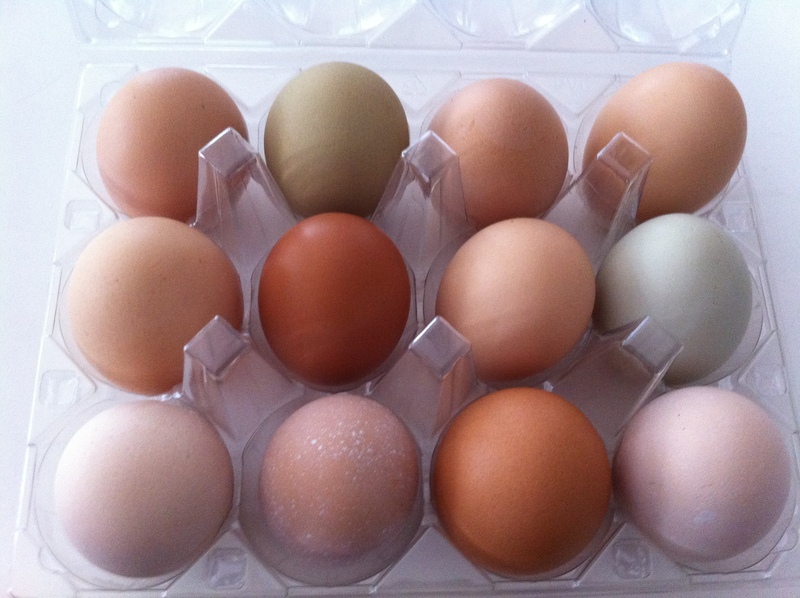 I’d love to find fresh local produce, eggs, & meats….soooo can’t wait for the farmer’s market to get going again. Aren’t they beautiful??!!??!! I feel like we will have brinner tonight, just so I can try them. Also, please pray for my friend’s grandpa…he needs prayer for physical healing….thanks! 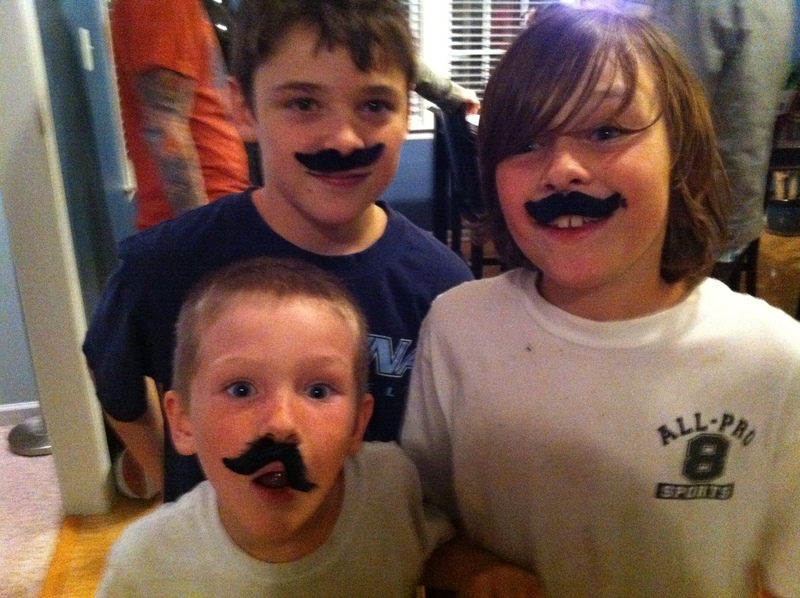 We went to a surprise party for a friend this weekend with a Mexican theme….